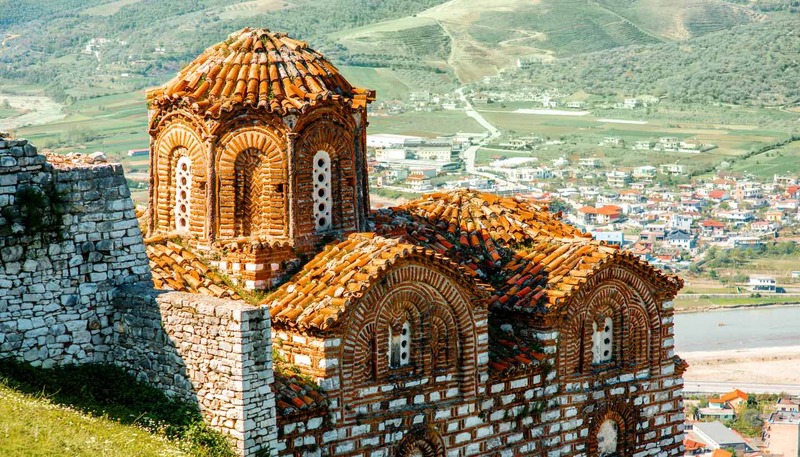 The roots of Albanian culture can be traced back to the ancient Illyrians. The Ardiaei tribe used Shkodra as their capital, and the present-day Albanian language is a rare surviving offshoot of the original Illyrian tongue. The Illyrians lived here first independently, and then alongside the Greeks, until the Romans arrived in the 2nd century BC and assumed control for six centuries. Next to take over the mantle of leadership were the Byzantines. During their reign, Albania was subject to relentless attacks from Visigoths, Huns and Ostrogoths. A short-lived period of successful Albanian resistance between 1443 and 1468 helped stoke the fire of a burgeoning independence movement, though the country did eventually fall to the Ottomans who stuck around for more than four centuries. Following the establishment of the nationalist Albanian League and uprisings in 1910 and 1912, the Turks finally gave in to Albania’s demands for autonomy. Despite the proclamation of independence, things weren’t all fine and dandy. Establishing a coherent state proved difficult and WWI saw the country occupied by a succession of armies, among them the Greeks, Serbian, French, Italian and Austro-Hungarians. In 1941, soon-to-be-leader Enver Hoxha formed the Albanian Communist Party. Hoxha and his party would keep Albania on a tight leash during a restrictive reign that lasted from 1945 up until the early 1990s. During the early decades of Communist rule, Albania cosied up to China; the two states united by their common enemy, the Soviet Union. But when China severed the partnership in 1978, insular Albania was left extremely isolated; comparisons are often drawn between it and modern-day North Korea. In 1991, Albania finally shed its one-party system, becoming the last country in Europe to hold multi-party elections. The first year of democracy was turbulent; the country stabilised after the March 1992 elections, but the collapse of pyramid-banking schemes brought Albania to the brink of civil war in early 1997. Since then, Albania has gradually become more politically stable and economically prosperous. The 2005 parliamentary elections resulted in the first peaceful handover of power from one governing party to another. Albania has been a NATO member since 2009 and the country has been granted official candidate status for EU accession – meaning a coveted spot in the bloc seems tantalisingly close. •	Upon the Mussolini-ordered invasion of Albania in 1939, the country’s first and last royal ruler, King Zog, fled his homeland and used gold looted from the Albanian treasury to foot his bill at London’s Ritz Hotel. •	Albania was the first country in the world to be declared an atheist state in 1956. •	During Communist rule, virtually the only Western films allowed to be shown in Albania were those featuring British comedian Sir Norman Wisdom. Hence, Wisdom became a popular cult figure in the country. Albania is an extremely secular society. The traditional breakdown is 70% Muslim, 20% Orthodox (the autocephalous Albanian church) and 10% Catholic, but at best these figures indicate nothing more than nominal attachment to each faith. Normal Albanian etiquette is for people to shake hands the first time they see each other every day, and then again when they part. Between friends, a kiss on both cheeks is exchanged by men as well as women. The usual way to indicate 'yes' is by moving the head horizontally from side to side. 'No' is usually signalled by a slight raising of the eyebrows, sometimes accompanied by a gentle click of the tongue. Albanians usually remove their shoes inside their homes or other people's houses. If you are visiting an Albanian home, you will be offered a pair of slippers or plastic sandals to wear while you are indoors. Smoking is widespread, and it is very unusual to find a non-smoking section in a restaurant, never mind a bar. However, smoking is not allowed on public transport, and this ban is almost always respected. On long journeys, the bus or minibus will stop for a cigarette-break from time to time. Homosexuality is taboo, although not illegal. Public displays of affection by gay couples are likely to be greeted with some hostility. The official language is Albanian. Greek is widely spoken in the south of the country, and some state schools there use Greek as the medium of education. Many Albanians speak Italian; some also know French or English.